Entirely manufactured in-house, including the hairspring, the balance wheel features an exclusive design feature. 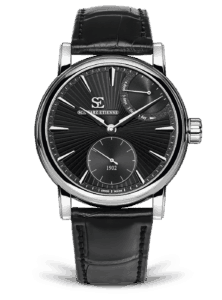 On balancing it draws the brand’s SE initials. 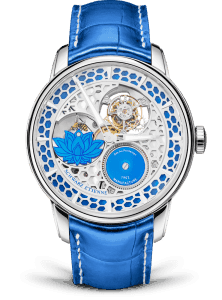 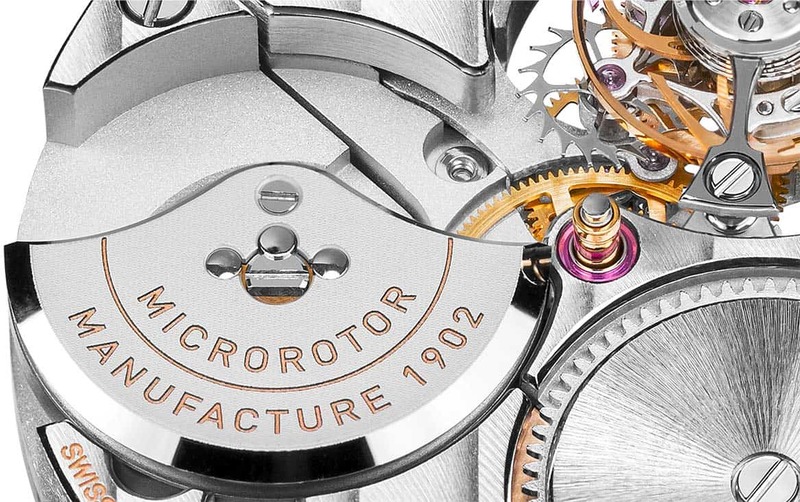 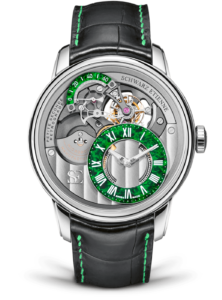 A high-end construction, the micro-rotor permits the integration of an ultra-compact automatic winding mechanism. 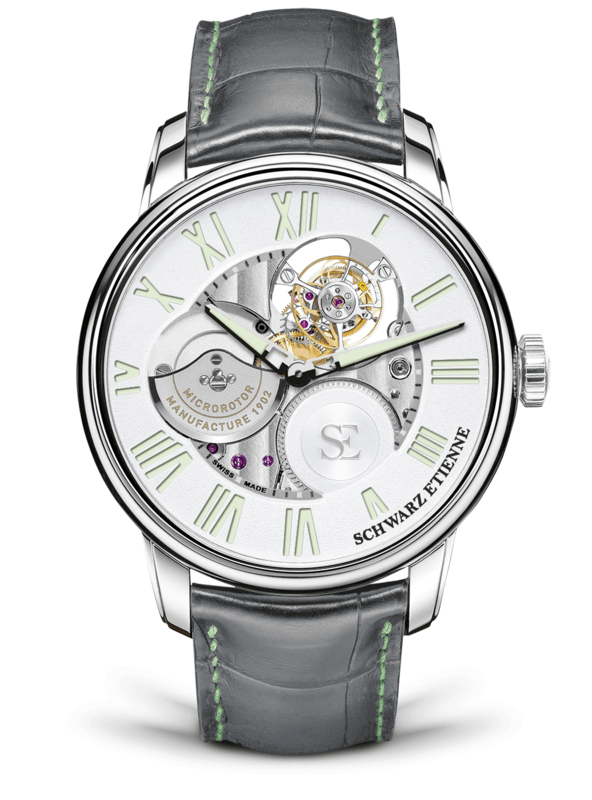 For maximum efficiency, and despite its reduced diameter, winding is bidirectional. 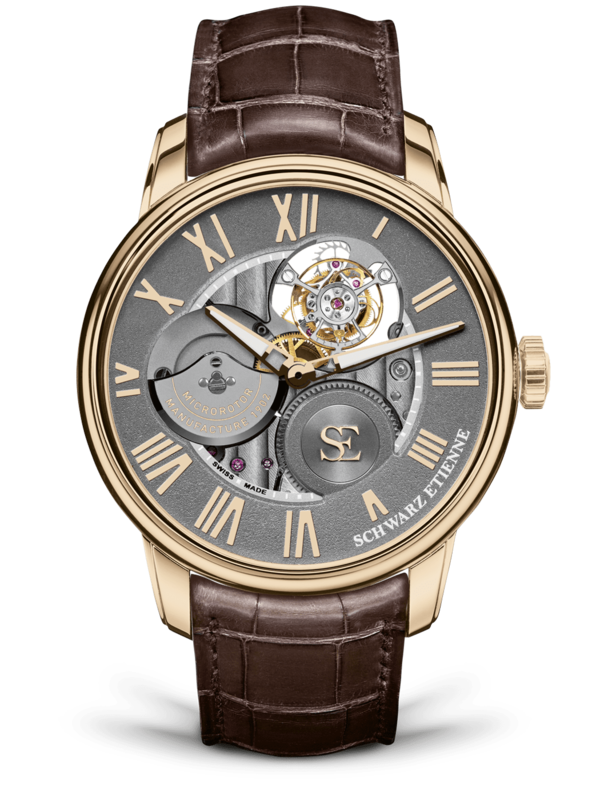 This elegant solution ensures the caliber can be admired in all its splendour. 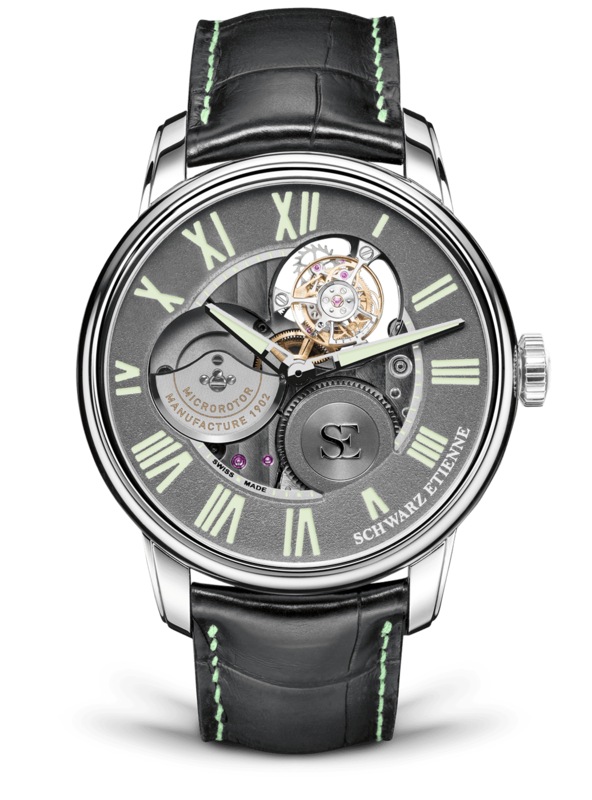 The oscillations of the micro-rotor on the dial side add dynamism to the design. 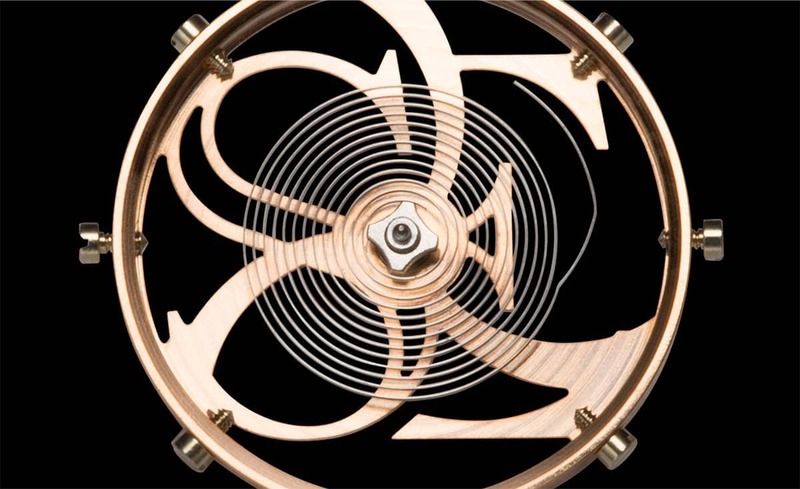 The flying tourbillon is a skewed construction with no bridge holding the regulator. 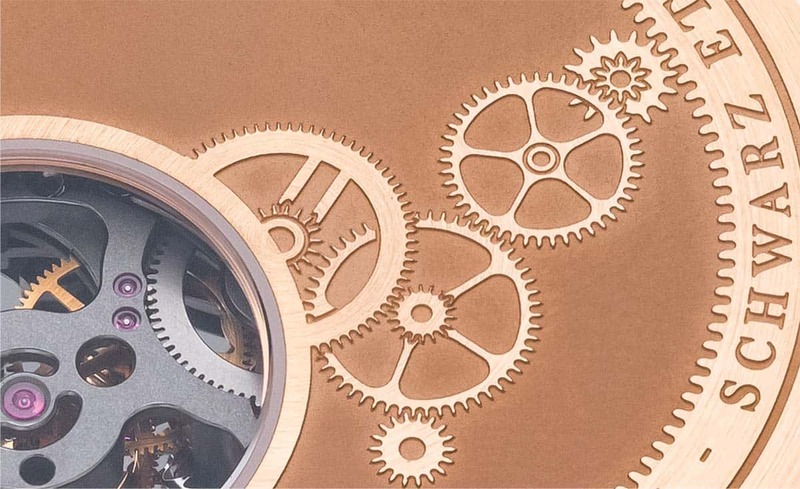 This provides an unhindered view of its mechanical processes. 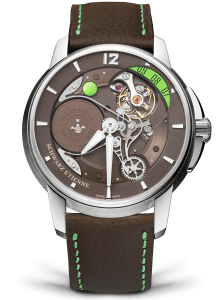 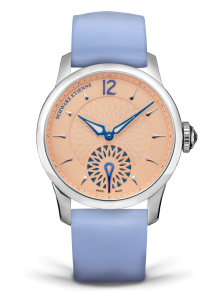 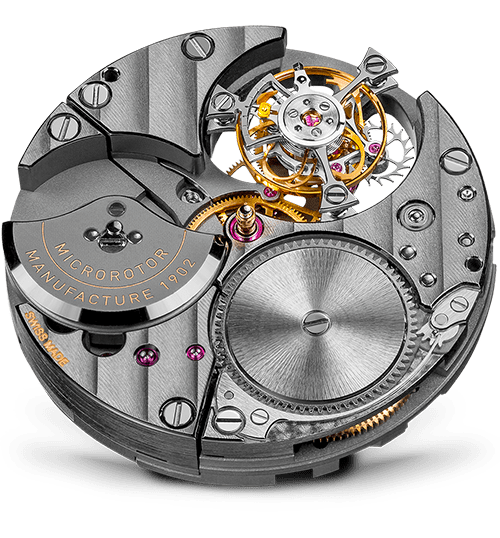 Entirely manufactured in-house, including the balance,hairspring and spiral, it performs a rotation per minute and oscillates at 21’600 vibrations per hour. 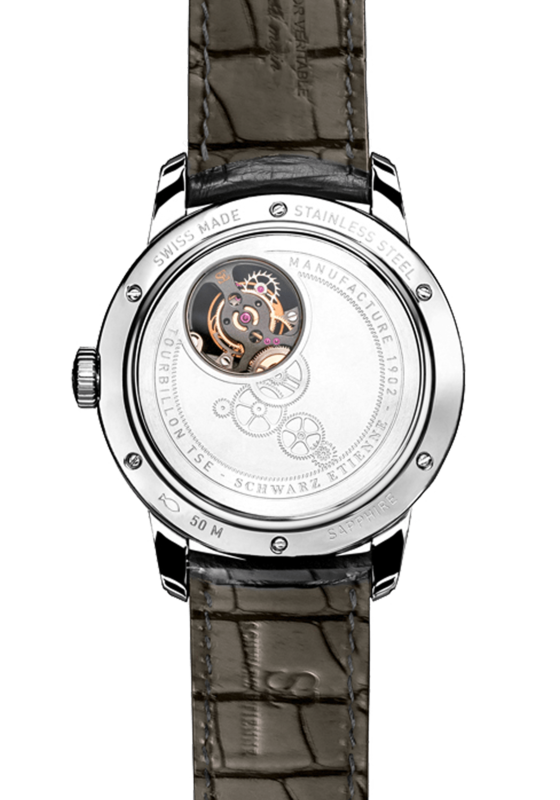 The La Chaux-de-Fonds Tourbillon case back is engraved with a gears motif. 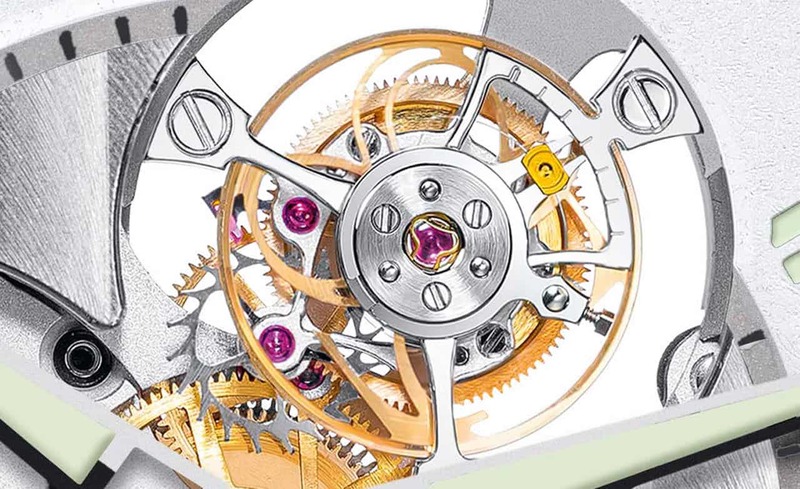 A small circular opening around the tourbillon reveals a captivating ballet from multiple angles, lending light to these exceptional mechanics.